How lucky are those people who find a perfect hotel exactly as per their liking near the airport of the destination they are traveling to! Everything becomes super convenient and unhurried. Plus, if the hotel in question is anything like Aloft (In El Segundo), one is bound to have a fabulous time! Aloft El Segundo is one of the newest Aloft-editions by the industry giant, Marriott International, established a couple of years ago with the intention of enhancing the brand’s presence in California. The hotel is located only a mile South of Los Angeles International Airport (LAX), making it one of the best accommodation options one can pick while being in LA. 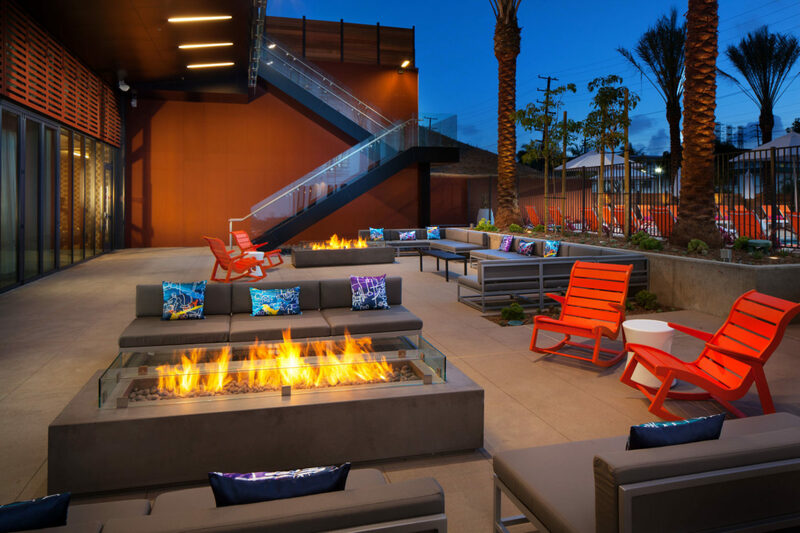 This hotel is the first Aloft property in the Los Angeles County, managed by Aimbridge Hospitality, who invested an impressive $20 million in converting the hotel into an Aloft installation. The hotel offers 246 spacious contemporary rooms featuring intuitive technologies and top-notch comforts such as – LED television, complimentary high-speed Wi-Fi connectivity, plug & play connectivity station to charge various devices, laptop-compatible safe, and more. All the rooms have been designed in vibrant but elegant shades of white, buff, blue and lilac to give an over-all modern yet personal feel. There are different kinds of guestrooms on offer, to allow everyone to enjoy the comforts and amenities best suited for his or her specific needs and budgets. Aloft El Segundo is without a doubt the hippest, most modern hotel accommodation one could find near LAX as it offers a wide range of contemporary facilities including state of the art fitness center, outdoor swimming pool, indoor meeting space which spans across a whopping 1400 square feet area, also, a separate outdoor event space, on-site restaurant, snack-bar, lounge area and 24 hour complimentary airport shuttle service. On the one hand, W XYZ Bar of the hotel makes sure the guests could enjoy their favorite food and drinks in an atmosphere of vibrant music and art scene and on the other, Re-fuel by Aloft offers a fantastic selection of healthy snacks in the form of interesting sweet or savory recipes. At W XYZ one could order anything from a pint to a Pinot Noir to select specialty sippers along with the delicacies from their special snack-attack menu. Tuesday-Thursday, Aloft’s Live at Aloft Hotels music events are organized here to create an ambiance of celebration and glee further. Its location on the Pacific Coast Highway lets the guests easily access several beaches as well as some incredible shopping venues while staying here. Offices of numerous Fortune 500 companies are also easily accessible from this Aloft installation including companies like Raytheon, Chevron, Boeing and Northrop Grumman. Plaza El Segundo, Manhattan Village, Sony Pictures Studio and The Point are not too far away either. 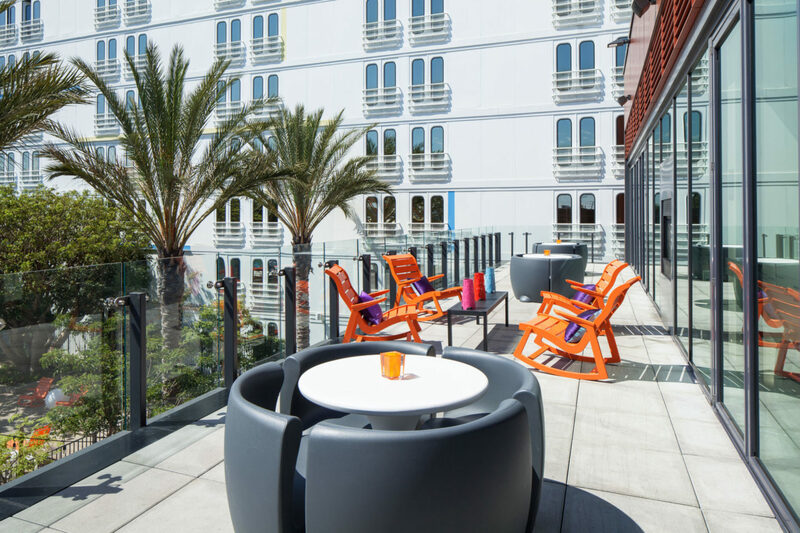 Staying at Aloft El Segundo is a wonderful idea for all those who enjoy a touch of luxury combined with impeccable hospitality. The staff is friendly and helpful, especially at the reception area. Special shout-out to – Thuy…she’s a sweetheart!